We decided to add no sweetener at all, because the melon and mint combination doesn’t need any of it in our opinion! SCOOP the melon seeds out of the melon and throw them out. 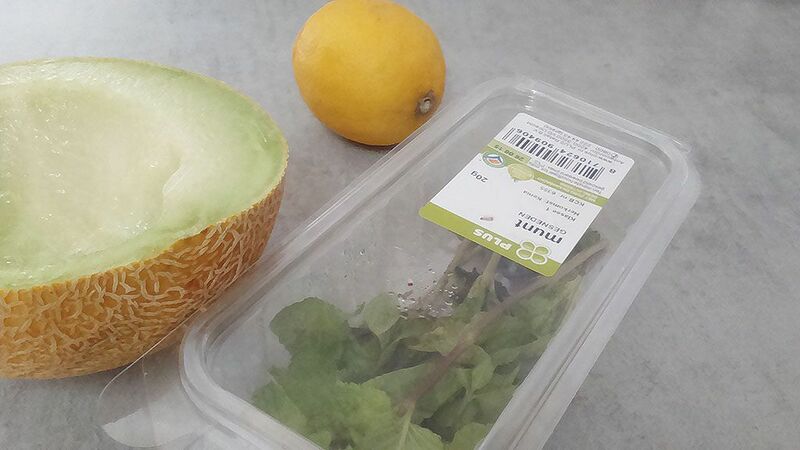 SCOOP the rest of the halved melon into the blender and throw out the peel. RINSE the fresh mint leaves with cold water and also throw them into the blender. But keep some mint leaves apart for garnishing later on. SQUEEZE the juice out of the lemon using a citrus juicer and add to the blender. BLEND the melon mixture until very smooth. Set in the freezer and wait. After about 1 hour, stir the mixture with a fork. Then wait again. Then repeat stirring it with a fork until you’ve reached sort of ice shavings. 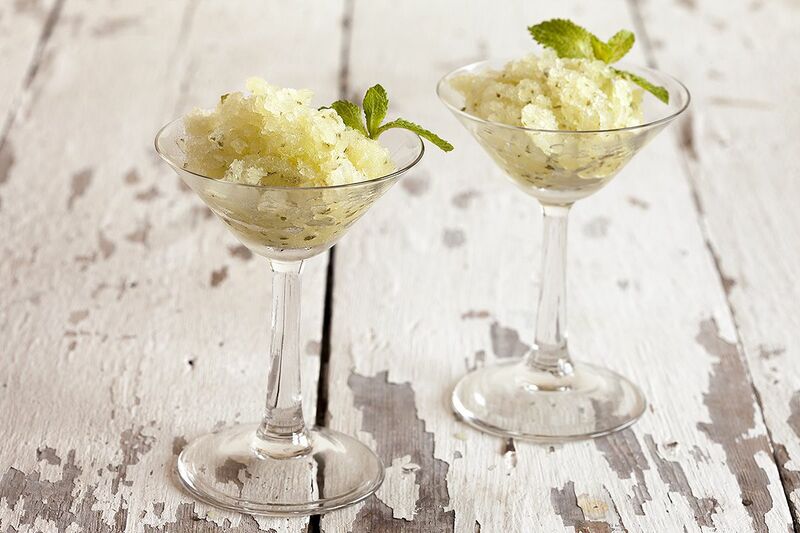 Serve in a small glass or bowl, whichever you prefer. 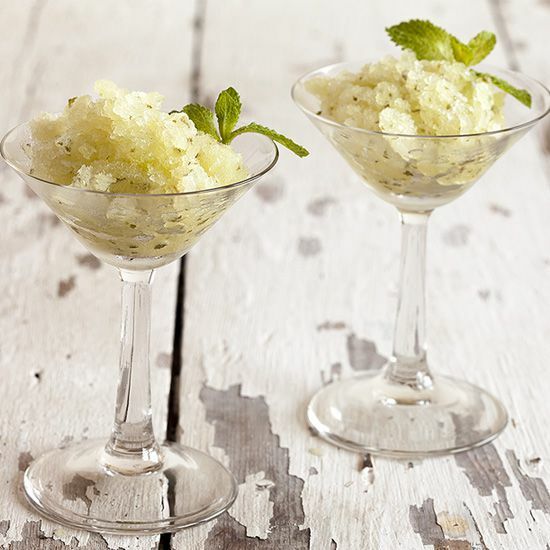 Make this very refreshing granita complete with another mint leave for garnish. 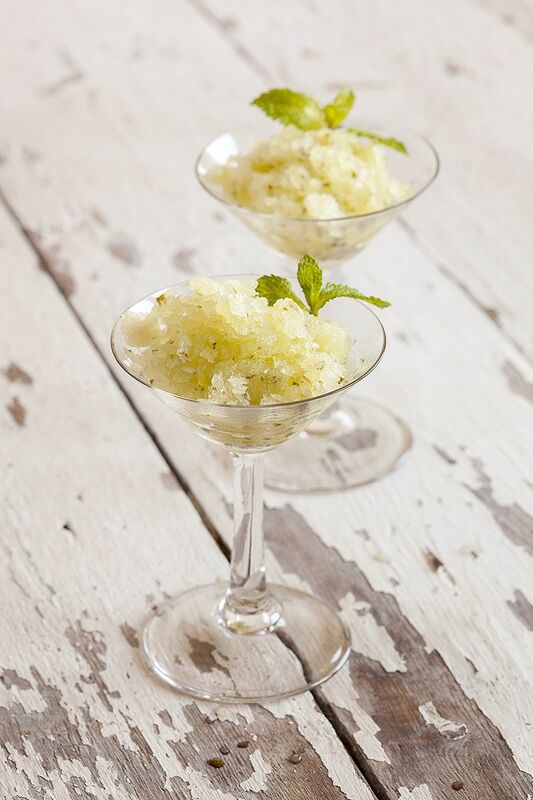 Enjoy this granita!